buy Dilantin online uk buy viagra hyderabad VA loans are home loans made available to military veterans, reservists, and active duty members for the purchase of a primary residence. The Veterans Administration does not lend money for VA loans; instead it guarantees the top twenty five percent of the loans made by private lenders, such as Security America Mortgage, to those who qualify. Qualified veterans can use the VA Home Loan Benefit to purchase a home with zero money down, no private mortgage insurance, and have the sellers pay all of their closing costs. These benefits, along with highly competitive interest rates, are making the VA home loan the preferred loan choice for many veterans. The VA Loan program was enacted by Congress in 1944 as a way to extend benefits to returning veterans as part of the Servicemen’s Readjustment Act. 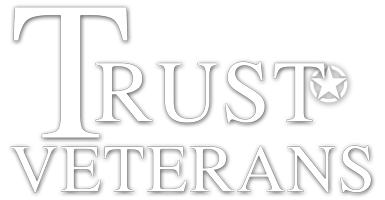 The government setup a system in which private lenders would make home loans to veterans and in return the government would guarantee the lender against any loss in the event of a default. In 1992 the VA Loan program was expanded to allow Reserve and National Guard members the ability to obtain a VA home loan provided they had at least six years of honorable service. As of today, more than 18 million veterans have used their VA home loan benefits. In the wake of the 2007 housing crisis, the VA home loan program has seen increased usage as many lenders throughout the country have tightened their lending standards. VA Home Loans have the same cost associated with closing as all other home loan products. There are two key differences in terms of closing cost with a VA home loan. First, if negotiated into the purchase contract, all closing costs and prepaid items can be paid by the seller, totaling up to four percent of the purchase price. Second, the Department of Veterans Affairs charges a VA Funding Fee on every loan it guarantees. The VA Funding Fee is paid directly to the VA and helps to pay for the VA Home Loan Program for all current and future homebuyers. The VA Funding Fee ranges from 1.25 percent to 3.3 percent, but is waived for veterans with service-connected disabilities. The VA Funding fee can be paid in full at closing or rolled into the loan at closing. Typically, VA loan interest rates are lower when compared to Conventional and FHA loans. Our team here at Security America Mortgage are experts when it comes to helping veterans obtain VA Home Loans. If you’re ready to get started today contact us at 1-855-468-2669 or complete the simple form above and one of our mortgage specialists will contact you shortly. We look forward to working with you!